The Oztent Gecko Stretcher is the perfect sleeping combination, being as long as the Oztent standard goanna stretcher combined with the width and height of the Oztent king goanna stretcher, making it a more versatile sleeping arrangement for just about everyone! Ideal for camping, outdoor events & backyard leisure time when wanting to take advantage of the outdoor lifestyle in comfort. 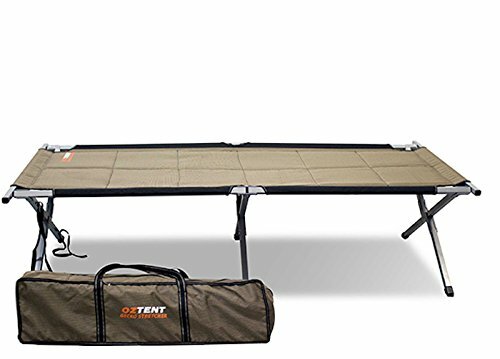 If you have any questions about this product by OzTent Sold by Family Tent Camping, contact us by completing and submitting the form below. If you are looking for a specif part number, please include it with your message.